Congratulations to "Jaclyn L.", the winner in Angi's giveaway. Thank you to all who participated! This is one of my favorite holidays and I have no idea why. I've been told that there may actually be a little Spanish/Irish from my mother's lineage…but that's not confirmed and if so, it's very diluted. I've never (and I mean NEVER) gone out partying. I've never drunk green beer, never been in a parade, never seen a St. Paddy's Day parade, and rarely even get pinched because I'm normally not around anyone else all day. School was normally out, but I have eaten my share of green shamrock cookies from time to time. I was surprised to discover that Saint Patrick himself was Scottish. And according to Catholic on-line, he was never canonized. My mother's family can trace its roots back to 1752 in Texas and my father's family has been here since the 1850's. That's a lot of history and a lot of family stories. Some from my sheriff great-grandfather. Others from brothers that have no existence before showing up in Texas. But the one most of the Morgan family knows is how our land and minerals rights were stolen…on the deathbed of a dying aunt. One family story sparked the idea behind TEXAS FAMILY RECKONING. 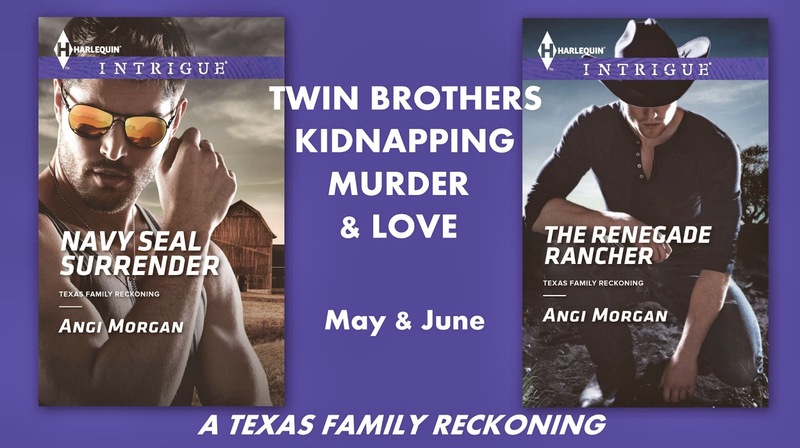 Estranged twin brothers caught up in kidnapping and murder…and it's all about the land. Giveaway ends 11:59pm EST March 17th. Please supply your email in the post. You may use spaces or full text for security. (ex. jsmith at gmail dot com) If you do not wish to supply your email, or have trouble posting, please email maureen@justromanticsuspense.com with a subject title of JRS GIVEAWAY to be entered in the current giveaway. Why do you like St. Patrick's Day? Leave your opinion for a chance to win. The thing with St. Patrick's Day is I'm still looking for the four-leaf clover, trying to find the pot of gold at the end of the rainbow (the rainbow keep moving as I try to get closer) and hoping to get lucky. Happy St. Patrick's Day!!! Well I have Irish blood from both my father's side and my mother's side... I love wearing green year round... have shamrock decoration to enjoy everyday... but I love seeing how many people enjoy today. It is funny, when I was a kid, I used to tell my friends that I had a little leprechaun that sat on my shoulder and talked to me... I was full of blarney, but they believed me at the time, LOL. I want to write that line into a book !! 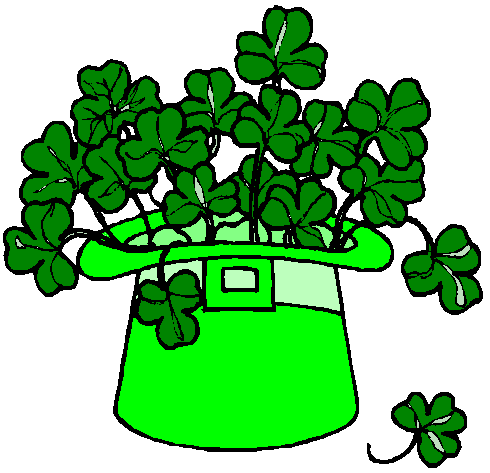 I have always liked St. Patrick's Day because I believe it to be a lucky day. I guess I convinced my children of this because every year they would get out the four leaf clover (artificial, of course) and make a wish on it - knowing it was a lucky day so the wish would come true. Cuz mom said so! what an awesome tradition !! I also have no Irish blood in my family- that I'm aware of. But the Irish people make their holiday so much fun I can't resist jumping in with both feet!!! I hear ya' Sarah ! And thanks for the blessing! I am a wee bit Irish, A lot more Scottish. I like wearing green and pinching my husband who is not wearing green today. I should pinch my husband too. Then again,k he might pinch me back. I love the history and stories behind the date. I also like setting up things that the "naughty" leprechauns do with my sons toys. I wish I'd thought of any of this stuff when my daughter was younger! We have both Irish and Scottish blood in our family ~ so we're definitely Gaelic! What I love most about St. Patrick's Day is the love for the holiday shown by my family! Older, younger -- doesn't matter, they all enjoy celebrating the day. My disabled mother spends weeks hand-making St. Patty's Day cards for everyone, the little kids bake treats and create colored paper crafts and the adults just enjoy the spirit of the celebration. Some drink green beer, some enjoy an Irish coffee, some don't drink at all. Lots of greetings (in person, on the phone, on social media, through the mail -- even a video chat!) and many blessings are shared. Thank you so much for sharing your awesome stories with us and for this wonderful giveaway! Happy St. Patrick's Day and many blessings to you from this Irish lass!! That's wonderful, Kimberly ! I'd love to be so Gaelic. It dawned on me this evening that I might enjoy this holiday so much because there's no stressing about it. No gifts to give...only blessings and fun to share. Everybody's happy and that's so very nice to see and experience. In my younger years we used to go out and do the pub crawls... but all of the Irish bars were usually packed so as we got older we gravitated to the non-irish bars which totally defeated the point ;) Haven't done in a long while now but it was very fun back in the day :) Plus I had a lot of fun being a Korean american named Erin so I embraced St. Patrick's Day whole heartedly!! Sounds like a "younger" thing to do. I am fascinated by the Korean American named Erin story! !